Fisherman travel from other states to Opening Day (March 1) at Montauk State Park. This Mid-west premier trout park has brought visitors since the 1800’s. “The springs in the northern end of Montauk State Park combine with tiny Pigeon Creek to form the headwaters of the famed Current River. The park attracts anglers for the outstanding trout fishing, and vacationers flock to Montauk during the summer months to enjoy the variety of outdoor activities available in the park and the surrounding region.” Ozark people go out of their way to show people around and to talk about the region. Their friendly nature is what keeps visitors coming back each year. 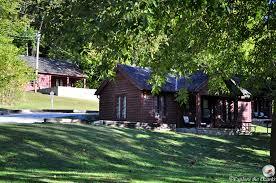 Stay in the cabins located on the park from $78 a night to $131. 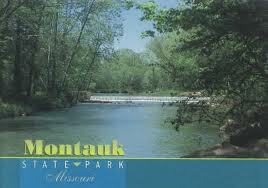 “The cabins, motel, dining lodge, store and snack bar are operated by Montauk Resorts, LLC, a Forever Resorts property. John Johnston, general manager, and his friendly team are ready to make your visit to Montauk State Park an enjoyable experience. For more information about the concession facilities, please visit their website or call 573-548-2434.Rise early to hike the trails or to sink a line in the river.” Summer months would be the ideal time to float down the current river, hike the trails and to fish to your hearts delight. Many do not want to deal with bugs in the summer though and arrive early in the spring to avoid mosquito and tick season. Or just bring a good hat and plenty of bug spray for the cool summer months. Weather during the summer stays around mid- 80’s to 90’s. Take a dip in the cold river to cool off too. Trout tags at the park is $3 daily for adults. You can buy this at the park store. A fishing permit for residents is $12. You can purchase these at a local hunting and fishing store. “You don’t have to be an angler, however, to enjoy all that Montauk State Park and the surrounding region have to offer. 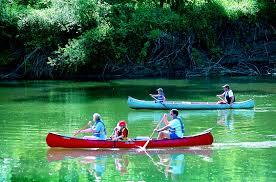 The Current River is known as one of the finest canoeing rivers in the Midwest. Although canoes are not allowed within the state park boundaries, the northernmost canoe access to the Current River, Tan Vat, is located just below the park’s southeast border. Both the Current River and the nearby Jack’s Fork River have been designated as National Scenic Riverways by the National Park Service, which helps preserve them in their natural, free-flowing state. Additional information about area canoe rental agencies can be obtained from the park office or lodge.” Canoe rentals from Jadwin on the Current River costs $50 per kayak on a 8 mile float or $87 for a canoe for the same length of river. Call Jadwin at 1-800-937-4837 to reserve or find pricing on boat rentals. Your budget should be at least $1500 to cover food, lodging, traveling expenses, fishing tags, boat rentals and souvenirs from the store. 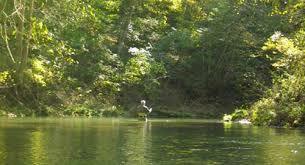 There is handicap access to the river, lodging campgrounds, picnic area and store. Visitors of all ages will find activities to do at the park. 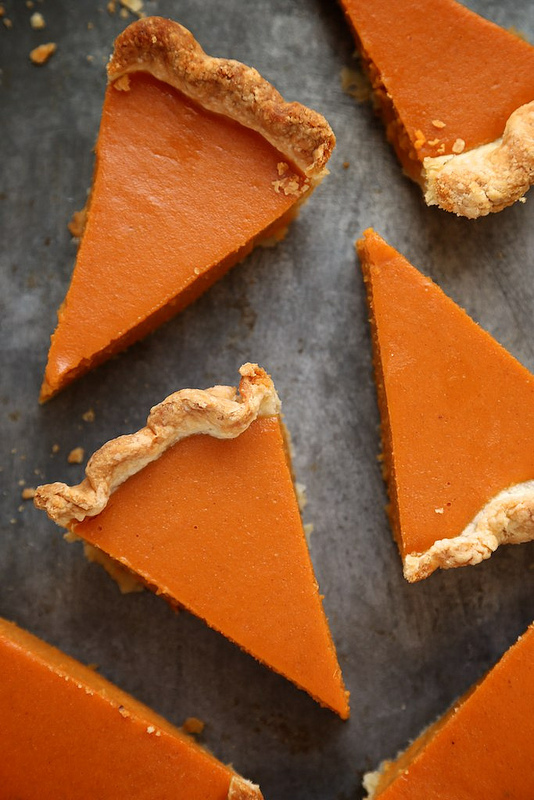 The covered picnic areas are a great place to have some scalloped turnips with ham and sweet potato pie. The trip will take at least 2 hours. 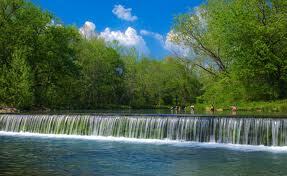 Traveling from Springfield, MO you will see the Ozark hills and wildlife. 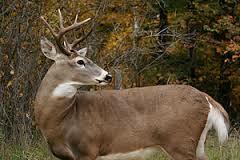 Hunters will be temped with the abundance of deer and turkeys in the area. 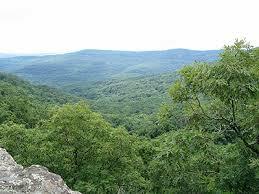 From the middle of Missouri down into Arkansas, the Ozark hills spread over the country like a green blanket. The history of the people there are considered strange and backwards with their magic and folklore. Their beliefs are similar to the mountain folk in the Appalachians. Selling moonshine and being superstitious is one of the many peculiarities of this endangered culture. In a novel, Ozark Magic and Folklore, written by Vance Randolph, there is a collection of their past beliefs and way of living. 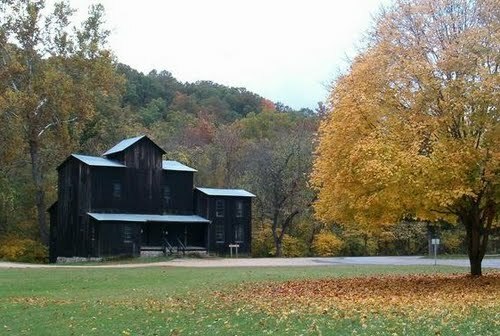 Randolph chronicles his time among the Ozarkians, in the late 1800’s to the 1920’s, in this in-depth look of a culture. They believe in yarb doctors instead of civilized medicine from the cities. A yarb doctor is one who uses herbs. “Some of these nature doctors are women, others are preachers who do a little doctorin’ on the side, and many of them are unable to read or write.” Today though there are less and less people who use natural medicines. In my own family though there were some older family members who believed in natural medicines. Modern medicine slowly replaced their way of thinking. “Young Matt Mathews, an Ozark Mountains moonshiner, hates the father he has never seen, who apparently deserted Matt’s mother and left her to die. His obsession contributes to the hatred rampant in the mountains. However, the arrival of a stranger, Daniel Howitt, begins to positively affect the mountain people, who learn to shed their hatred under his gentle influence the shepherd of the hills.” (Tony Ray – YouTube) When one of the other mountain people encounter this ill fated family they avoid them and chant spells to ward off evil hexes. The music played was the typical Hollywood style with large ballads played by orchestras. The director, Henry Hathaway, filmed this exceptionally well and the panoramic views of the Ozarks were captured in all their splendor. The dialect and words were hard to understand at times but closely resembled the speech of the hillbillies. Clothes and lack of footwear were portrayed accurately also. My favorite part was when Sammy would chant and make marks in the dirt. This part can be found at 31.22 into the movie. My overall rating of this movie in it’s historical likeness to the Ozarks and it’s people is two thumbs up. Maybe I’m a sucker for a John Wayne movie, but I loved the story. The connections I see in this movie and my time of living in the Ozarks, was running around barefoot on dirt roads and working hard. People still today have sheep on their farms. My in-laws had sheep on their farm until two years ago. They would sheer them and sell the wool. It was very rare when a sheep was slaughtered. I never heard of hexes or curses in the Ozarks. And I don’t remember ever seeing anyone make a sign in the dirt and spit on it. These practices are long dead in the Ozarks. If they are practiced, then it is not where I have seen them. The novel by Randolph and the 1941 movie with John Wayne have similar connections with hexes and beliefs. I could see many things in common like not stepping in a puddle of water on a muddy road because it would be bad luck. Or covering your eyes from dead spirits. Similar things were documented in the novel. Today you will not find a lot of superstitious people. There are still good native Ozark people, but with their heritage almost forgotten they have become almost like the rest of the country. Modern education, medicine, technical advances and conveniences have changed them and their culture. It is sad too loose a language and culture of people. 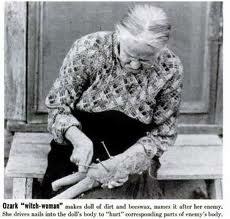 Like the Indians who are becoming a race of lost culture, the Ozark people are loosing a part of themselves too. There is only one Appalachian mountain top left in it’s natural state. The others have been cut off and mined. The people there suffer from cancers and other illnesses because of the water being polluted from the mining. The world we live in is changing and our natural resources are in demand constantly. But the human resource should be looked at as precious too. When we loose all the different heritages in our country, then we loose a part of ourselves. This novel and movie captures a part of our history we must never forget. Beaver, Jim. IMDb. n.d. electronic. 6 November 2014. <http://www.imdb.com/title/tt0034182/&gt;. Randolph, Vance. 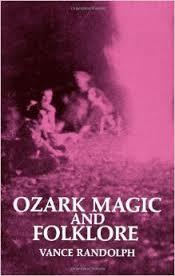 Ozark Magic and Folklore. New York: Dover Publications, 1947. paperback.